Having always had a passion for working with and alongside people, Jenny embarked on a career of teaching. Through comments and feedback from pupils’ parents and colleagues, recognising her unique way of finding that special spark in each individual and helping them realise that they can achieve anything, Jenny felt she wanted to develop this invaluable life skill further. With her drive and determination, Jenny set her mind on becoming an Accredited Life Coach and she succeeded. Since she was awarded her diploma, with distinction throughout, she has guided people from various walks of life towards new and empowering goals! A bend in the road is not the end of the road, unless you fail to make the turn! Jenny studied at Falun University, Sweden and at Christchurch College, Canterbury, Kent to earn her B.A Ed and B.A Cross-Cultural Ed 1997. 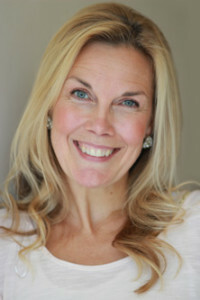 She passed her Accredited Life Coaching assessments, with distinction throughout, through New Insights Life Coaching Ltd in 2008.